Ahh comfort food. As you may have seen in yesterday’s post, I recently bought a potato masher. 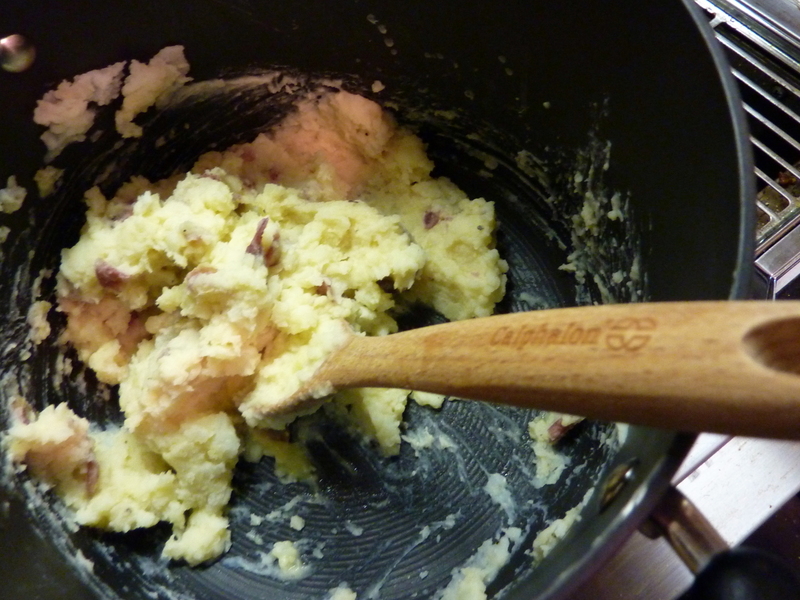 Previously, the only potato mashing device I had was a ricer, which made for a rather labor-intensive (but oh-so smooth and creamy) batch of mashed potatoes. But sometimes you just want to get down to business and mash those bad boys up. 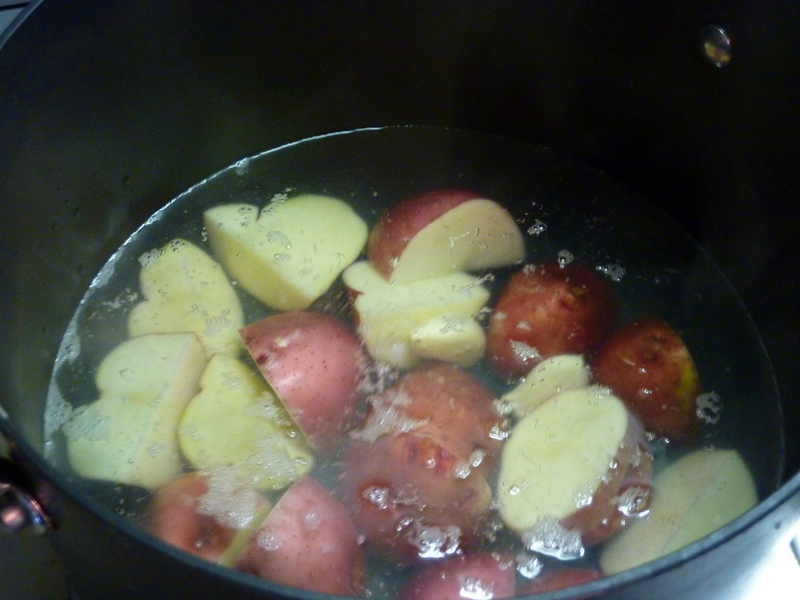 I placed four redskin potatoes, cut into quarters into a pot, along with two cloves of garlic, filled with water, brought the water to a boil, and let it simmer, covered, for 25 minutes. 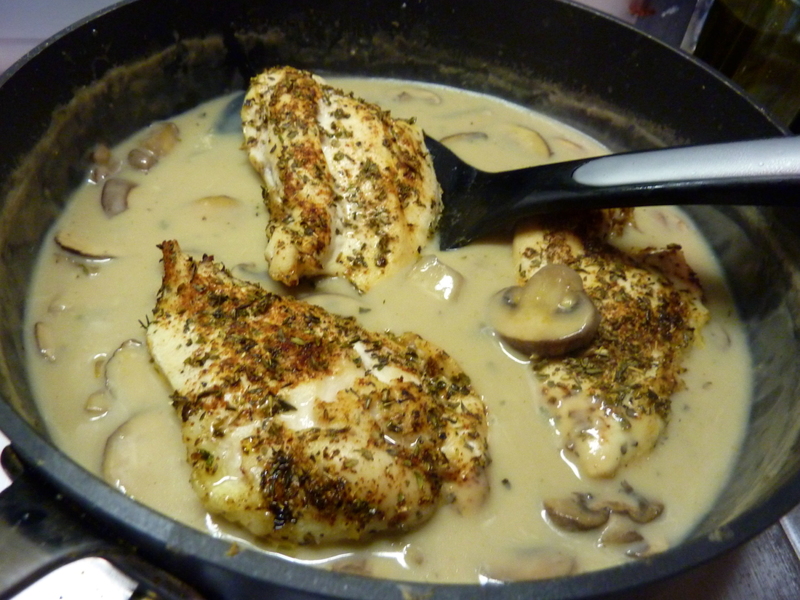 After the chicken breast halves were baked through (375 degrees for 25-30 minutes), I plopped them into into the mushroom gravy (along with the several spoonful of “juice” or drippings from the chicken, which added even more savory, rich flavor to the gravy). 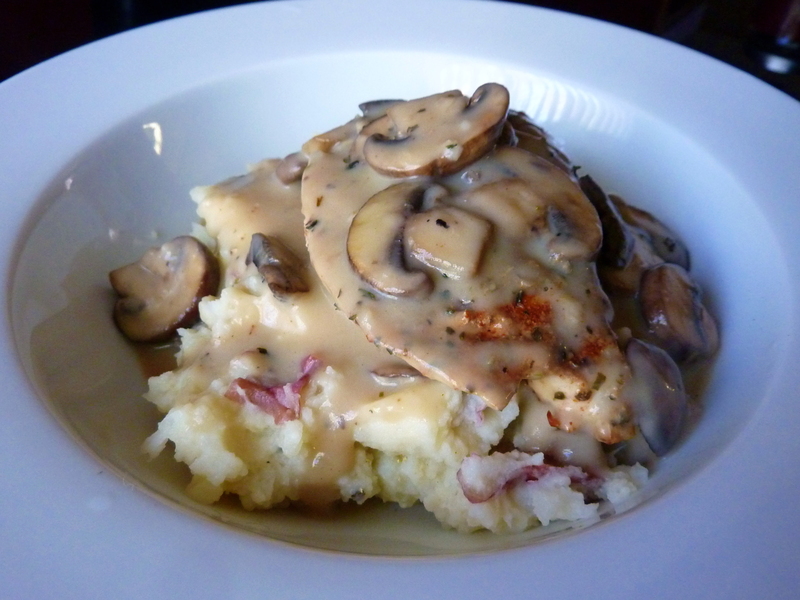 While the chicken was bathing in the thick, creamy mushroom gravy, I went to town on the mashies. To the four drained redskin potatoes and two cloves of garlic, I added 1/4 cup of fat-free half and half (warmed), 1 T. butter, S & P, and a few shakes of grated parmesan cheese. I also went back and added a few extra splashes of milk, since I like super creamy mashed potatoes. the chicken and red skinned potatoe dinner looked delicious.Tom is a lucky man!!!! you always loved your mashies!!! This looks great! 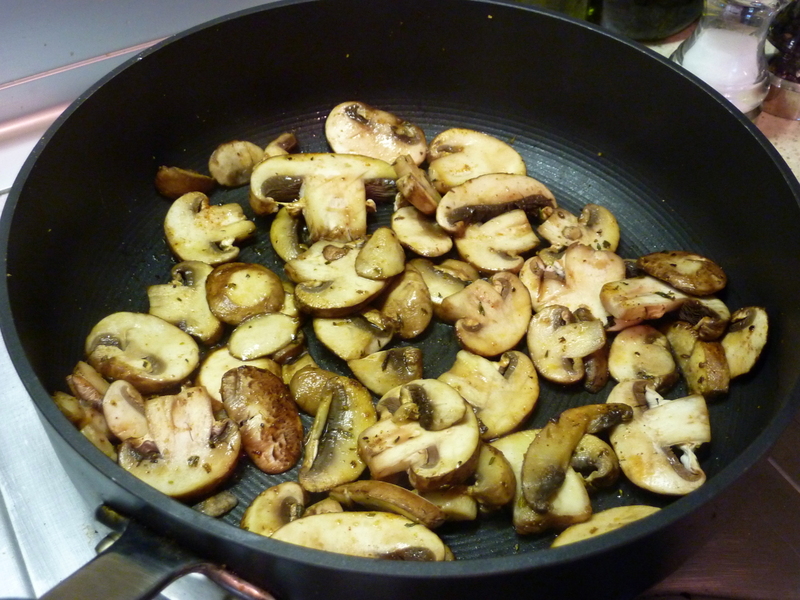 I’m not a huge chicken fan, but I am a sucker for mushrooms. Yum! Pingback: The 50/50 Burger « Meg.Goes.Nom.Nom.